This oven is between 369 and 515 pounds everywhere else but John Lewis have it at 269 pounds with free delivery. ​If you read reviews on other sites they are mostly good. They've cancelled my order but I've got my £10 of batteries free using my voucher from the aborted purchase. This was misprice along with argos sellung rangemaster cookers reduced from 1300-1500 to 100-200.....looks like they have sorted it now......but well done to anyone who managed to get. Not available at the glade retail park clacton on Sea. Just been told b&amp; my sell different products in different area'so. Clacontact always misses out on good deals. I still maintain that most reviews say the food comes out quite sloppy. As someone who owns both a slow cooker and food processor I think I'll pass on this occasion. Shame as I really wanted to love it. I was thinking about buying one of these to cook in the garden using a paella pan. It's lightweight and shallow but quite wide, the base is around 30cm diameter. I'm sure I've seen outdoor caterers etc. use similar portable stoves to heat through / keep warm. Several examples branded "Adventuridge" are listed on the South Australian safety website but the linked sites refer to products manufactured before 2015 and buyers are encouraged to obtain an updated model. Annoyingly, the ALDI website does not quote an Adventuridge model number.... If the posts above are credible this might be a problem. How good is the evidence or is it all, "I knew this bloke who..." data? Well, sorry but that doesn't answer my question (which I posted for the benefit of anyone considering buying). The fact that you've used yours rather unwisely and got away with it doesn't make it safe! I've now found this and would urge you to reconsider using your old one: https://www.sa.gov.au/topics/energy-and-environment/using-electricity-and-gas-safely/portable-gas-cooker-safety Here are a couple of extracts (relates even to fully approved ones): - Portable gas stoves should never be used indoors or in confined spaces. - Do not use pans or pots larger than 200mm (unless specified as safe by the manufacturer) – when the pot is too big, it concentrates the heat down toward the gas canister, which may cause it to overheat and explode. The problems seem to be based on the fact that the gas canister is integral and very close to the flame. In certain circumstances the gas cylinder overheats and explodes. You have been warned! I have two of these which I've never used - I think they're going to remain that way. I have used one of these for the last three years at home as my main cooker. Still using the original unit ( I have another for a backup ). The only thing to be aware of if cooking indoors is to keep the window open for ventilation. One downside, in winter the bottles of gas will only give about 80% use because of the cold. I put these aside for the warmer weather. Australia banned these after several nasty incidents with them. I believe they insist that they now have to have extra safety features. Anyone know how to tell if these ones are 'safer' type? There's a similar one in black at Hotpoint Clearance for £220.99. 2% Quidco. 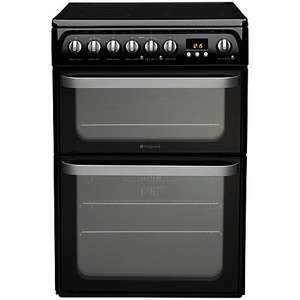 Hotpoint Ultima HUD61KS Dual Fuel Cooker - Black £289, its £399 @ AO &amp; £479 @ Currys. i wanted to buy this but my local store doesn't stock it..can it be ordered in for click &amp; collect? When you go camping, you can stay on a normal pitch or you can pay extra to get a grass pitch with electricity hook up. So no, it is not rubbish, plenty of people do it (that's why they make tents with access for power leads) and it does not alter the fact that £12 for a hotplate cooker with a two year guarantee is a good price. ​no problem, that's often the case. Yep gone back up. I needed a few days to decide if this was for me. Hopefully it comes back down! Coming up at £399 on both links..
why has this been expired? this deal is still available.. It is also the cheapest fitting I've found. Average is £80-£100. Can't fault their customer service either. 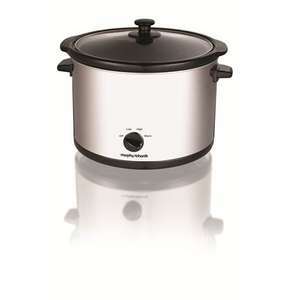 Hopefully cooker will live up to my expectations as I've been shopping around for ages! Expired now as the seller has put the price up. ISJ66 thank you for answering that question. Snoopy18, I'd go with isj66, I've never seen how one is fitted behind the cooker....didn't even know what you were losing about. Sorry. Hi does it come with a connection hose? Was just this morning looking at AO.com for a dual-fuel cooker, was thinking about one for £569 and then thought I would do one last search on HUKD. Bought the one the OP posted, I'm sure it won't be quite as good, but at under half the price I doubt I will care. Thanks a lot OP. It depends on your definition of discovered - Thanks to the OP I just Discovered it as well!! Is it just cookers or can it be used on built in ovens too? I have had mine two - three years. For the price it is now its a good deal, but I would never have one again, too many issues that work out expensive as the warranty is surprisingly no longer !! Use code TDX-JTHW to get price above. Anyone know the co2 reduction implications for gas cookers now brexit has arrived? Are they still supposedly going to be phased out or did brexit change that? oops just seen the code. 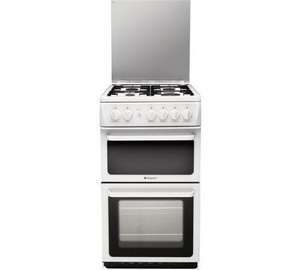 WHEN i go to buy this cooker the price is £189 and not £151 as advertised ? Have some heat. 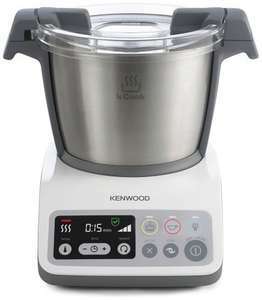 Was waiting for a cheaper instant pot but this will do instead. Steel cooker can be used on induction hob and very easy to clean. Steel does not scar like aluminium cooker. How can I stream SkyGo to my TV? Is this tyre bulge safe to drive on? Buying Netflix from Ebay ? Can I continue to drive a car that has been involved in an accident? GIMP Question - how do I get the pointer back so I can move an object? Are there any HHA membership offers? How to find products only sold by (and not fulfilled by) Amazon? I recieved a tax rebate cheque, Can i cash it anywhere?